We received fabulous response for the Diwali Giveaway that we had arranged for our Trak.in this year and it is now time to announce our winner. Before we name our iPhone 5S winner, we want to let all participants know that the Giveaway took into account number of points collected by each participant, along with the answers that were given to the question asked in the contest. Among the people with highest points we shortlisted 3 people with best answers, and then ultimately chose 1 winner with best answer. 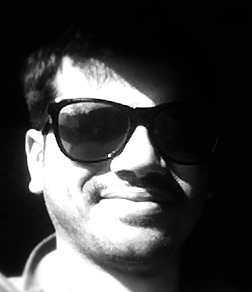 I am sure Nikhil is on the moon right now ….Hearty Congratulations to you.. This Diwali is really a #HappierDiwali for you! So, do you want to have a absolutely fantastic Diwali this year? 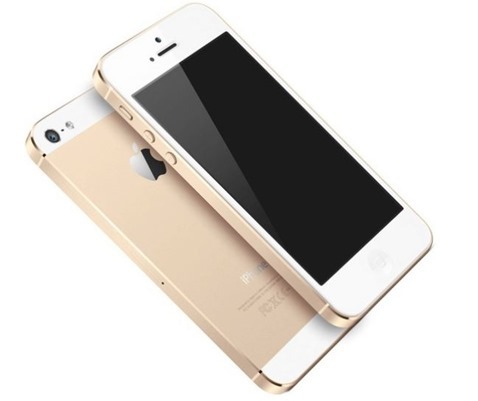 Why not have a chance to win a very coveted Gorgeous iPhone 5S? Yes, that’s exactly what we are doing here for our Trak.in readers – We will be giving away an iPhone 5S. Not many products have the power to create the sort of excitement and gripping interest like iPhones do. Every year, one date that everybody waits for with great anticipation is the day of iPhone release. From then begins a relentless wait to get hands on the device and perhaps save enough to get one. If you are an Apple fan who goes through all these motions regularly and cannot wait to get your hands on the cold metal of a brand new iPhone 5s then November 1st is the date you have already marked in the Calendar as the date when the new iPhone comes to India. To help make this festive season special and brighter than ever before, we are giving you a chance to make it not just a Happy but, a #HappierDiwali. All you have to do is simply enter in your thoughts in the form of answers and stand a unique opportunity to win the device that is high on everybody’s wish list. So, go ahead and make this a #HappierDiwali for yourself or for the one you love by winning the perfect device that an iPhone 5s is. For all the participants… Please check the update… the winner for this giveaway has been announced! Waiting for the Winner Announcement. Incase you are wondering about the winners, you will need to wait till November 13th. The winners will be announced by that date! I’m biggest fan of iPhone. It is my biggest dream in my entire life. Hope Owner Understands my feeling. God bless you and wishes you very very #Happy_Diwali. I, along with my friends, spent my last diwali organisig a charity/donation camp for the slum children in delhi. The joy and happiness i saw on the face of those children, playing with toys and sporting new clothes, and the feeling of self worthiness was a moment to cherish .Undoubtedly, the best diwali gift i had ever recieved. First of all , thanks a lot @trak.in for giving us such a great opportunity to win an #iphone5s . No doubt, in addition to a safe health and a happy environment, winning an #iphone5s as a giveaway from @Trak.in would definately make my diwali a much #happierdiwali . A very happy diwali to each and everyone . May every diwali be a #happierdiwali . I received a Mp3 player . Till now that was the special gift for me. I wish 2 give a best gift on every diwali , that make a wide , zoom smile on face of poor & orphan children / people . That is best #happierdiwali Giveaway , the joy of giving. it would be really great to have an iphone 5s in my hand as being a part of #happierdiwali. a very #happierdiwali to you too!!! Biggest excitement this Diwali :D ….. I am entering this contest hoping to win an Iphone 5s and make it a #HappierDiwali for my better half ..fingers crossed! wow ! I would gift my family candles and crackers to remind once again that, its the celebration of light and blessing them tat their souls be enlightened…wish for iPhone 5s…# happy diwali . Got a remote control car when i was kid.still drive it..now i could receive nothin better than iphone 5s ! This is an awesome giveaway. I wish i could win this. The best diwali gift i have recieved was an Apple’s Ipod 120 GB…..and ever since using an Apple’s product has been such a wonderful experience. And again I hope that trak.in will give me the opportunity to own the most awaited Iphone of the year.. Iphone 5s! Happy Diwali! Just Yesterday i recieved my best diwali gift from one of my client(Affluence) and the best ever will be this iphone5 as a gift. `giveaway cant be better then this anymore. the most and the best desiring and catching giveaway. its hard to win but can still try to win it. The Best gift i have got for diwali is my Confirmation letter in office. In the month of August I was about to buy my first iPhone i.e IPhone 4S. Later I found Apple is going to release IPhone 5S in the month of November and I changed my mind and bought an iPad. Now I am all st to buy iPhone 5s in the month of Jan. 2014 from my savings. Let me see if I can save my savings this time by winning an iPhone or not. If not, still its gonna be an investment for me. I No Perfect gift from my relatives but my mom and Dad always gift me something special on Diwali. #happierdiwali I generally don’t get any personal gift in diwali because I usually have my birthday celebration just somedays after diwali. my b’day is 11.11 and as being a Bengali, I also get a lot gifts in durga puja. So, another diwali gift would be beautiful. cheers! iPhone 5s, great phone for the great occasion. I like this site, it suits for all ages and the topics cover a whole range. Happy Diwali. Happy Diwali to all Indians all around the world. Special Diwali greetings should go to Arun Prabhudesai and the entire Trak.in team. You are awesome. Your bisiness updates are the best I have ever seen in India. Thanks for serving the community with great news! Winning this Diwali offer of Iphone 5s would be the greatest miracle in my life. I am praying and believing God for it! My parents love and happiness is a best gift for me. I need to win the iphone 5s. I’m poor and my phone is going out and nred a way to keep in touch with my pregnant daughter whom just moved and having complications. And Ill just die if I can’t start video calling her to see she’s okay. Best Diwali Gift I’ve Ever Received Was A Car About Years Ago. I’m Not Selfish But Obviously I’d Love To Get iPhone As My Diwali Gift As I Recently Broke My Cellphone. Truely I Would Really Love To Get My Family, Togetherness And Prosperity As Gift To Make It A #HappierDiwali. Wish all readers of track.in a very Happy Diwali. Thanks for this awesome giveaway. I guess iPhone 5 is not yet launched in India, but still it will be a great give away! One of the best Diwali Gift I have received was my first Smart phone. I would love to receive the above iPhone 5s this year to make it a #happierdiwali. The best diwali gift I received was my wife accepting my proposal. Would be so awesome win an iPhone 5s. Thanks for the giveaway. Wish you a very happy diwali as well. This is epic gadget for every social media user :) This would be pretty awesome giveaway for diwali. The best Diwali gift I’ve ever received is a box of Ferrero Rochers… And this Diwali, it would be a #HappierDiwali if I get lucky enough to win this iPhone 5S. Wish to Win this beautiful Master piece, Fingers Crossed. The best diwali gift i received was by fellow school friends who chipped in the money for which they were suppose to buy firecrackers and instead we organised and Pooja and dinner with a group of street kids. #happierdiwali If i win this contest, i’ll donate the same amount to a local charity which actually works. Everyday i check the posts of Trak in Google+. Thanks a lot to Arun & his fellow members! Now I am looking forward for iPhone 5S. Happy Diwali to all indians and cricket fans.